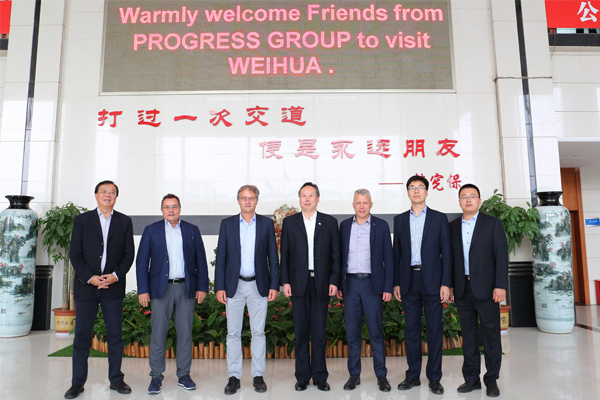 On October 25th, Philip Froschmayr, Chairman of Progress Group, Helmut Stofner, CEO of Progress Group, Uwe Seitz, Sales Director of Abbavi, a subsidiary of Progress Group and other leaders of Progress Group visited Weihua. 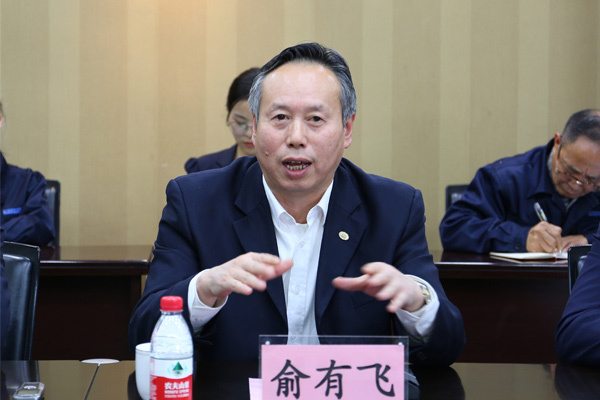 Yu Weifei, president of Weihua Group, hold a discussion. During the discussion, Yu Youfei expressed his warm welcome to the Progress Group guests. He said that Weihua Group and Progress Group are well-known enterprises. We have good cooperation in PC component production line equipment. It is our pride to cooperate with Progress. 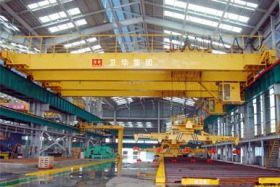 Weihua's main business is the manufacture of lifting equipment. In recent years, we have started the production of mining equipment, special vehicles, and assembly buildings. 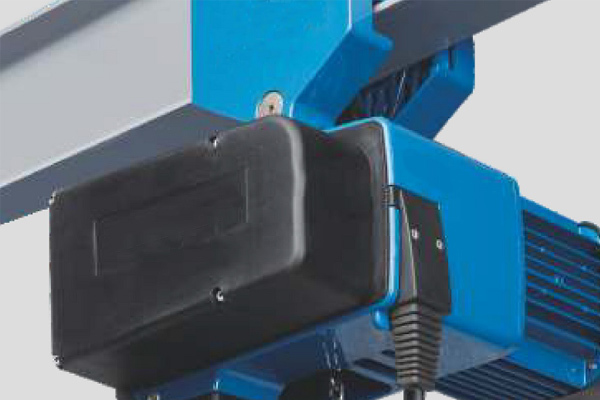 Weihua has strong R&D and manufacturing capabilities. According to production needs, we can set up workshops to produce more PC production line equipment or other building special equipment parts for customers. We are willing to cooperate with Progress in depth to develop broader market. 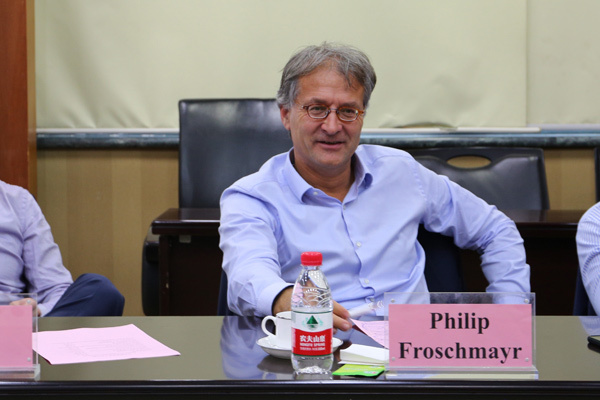 Philip Froschmayr spoke highly of Weihua Group. He said that Weihua is a very remarkable enterprise. It is not only large in scale, but also in management, and Weihua has excellent technology and strong scientific and R&D capabilities. 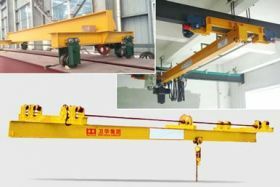 Through inspection, we are very convinced of Weihua's strength. We will consider purchasing more products in Weihua in the future. In particular, some of our projects in China and Southeast Asia will give priority to Weihua's products. 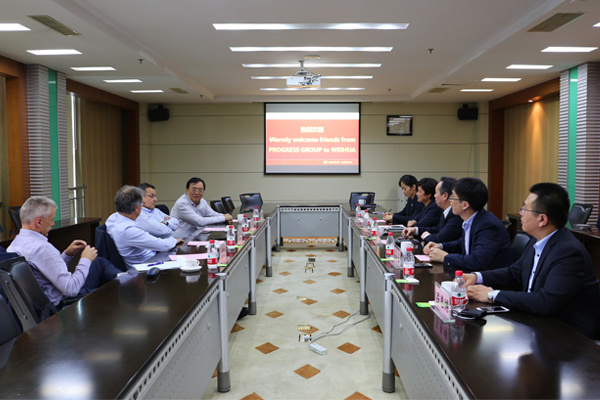 With the cooperation between the two parties, it is also possible to collaborate in some areas of manufacturing technology.